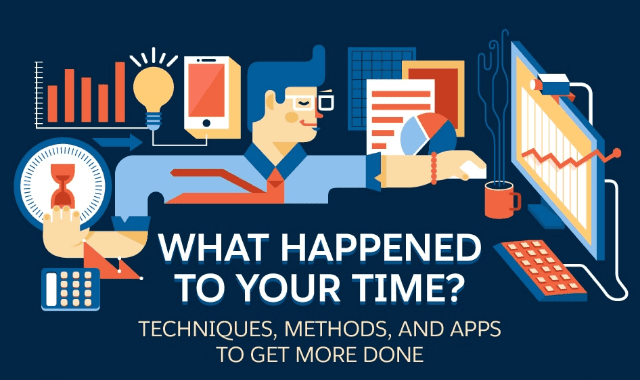 What Happened to Your Time? #Infographic ~ Visualistan '+g+"
Talk to most people, and they’ll say they’d love to have an extra hour in their days. While that would be nice, by managing your time a little more effectively, there are ways to get more done in less time—and have more time for yourself in the process. There are a number of time-tested ways to get through your to-do list faster: the Pomodoro technique, the Eisenhower Method, the ABC Method, and the Pareto Principle. With these systems, you can find the one that works best to help you focus and accomplish more.